[dropcap]T[/dropcap]his post may not seem directly related to yoga injury. 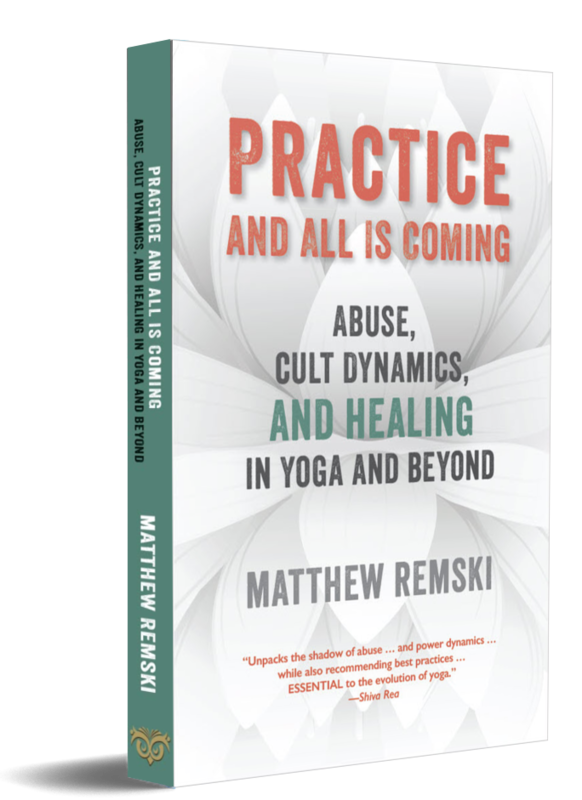 I’m including it in this series because it explores a personal experience of what is perhaps the stickiest subject in the yoga injury discussion: how pranic and biomedical visions of the body collide, interact, and may in time come to uneasy resolution. How far do we trust our intuitive sensibility to reveal our internal states? Is “listening to ourselves” enough? How do we know when we are in pain, and what kind of pain it is? Do insights into sensations described through the ancient language of energy, chakras, “openings” and “blockages” map onto the material reality of the flesh? In what way? How do they lead towards or away from newer kinds of knowledge? When is the yogic paradigm helpful in understanding the material facts of injury, disease, and wellness? When it isn’t, how do we turn to newer sources of knowledge? When we do seek elsewhere, what of these older ways do we bring with us? For more than a century, yoga has straddled the paradigmatic threshold between an intuition-based knowledge nurtured by timeless anecdote, and the evidence-based knowledge that has evolved through the intersubjective process of shared, repeatable research. When I was briefly hospitalized last week, I was lucid enough, and not too discomforted by pain, that I could sit for while on that threshold and meditate. [dropcap]T[/dropcap]he backstory begins about two months ago, with me in the sauna after taking a swim, doing a little oil massage. I flexed my knee to put my left foot up on the cedar bench and began to press my thumbs into the belly of my calf muscle, to stroke it downwards. The pressure immediately provoked a throbbing pain, as if some deep layer of muscle was recoiling in spasm. I straightened my leg and flexed my ankle gently to stretch the calf, but it wouldn’t relax. I drank plenty of fluids for the rest of the day, and the cramp tightened and loosened by small degrees, but didn’t really shift. That night it woke me up with a deep stabbing sensation. In the morning I almost fell on my first step: the cramp had poured down into the arch of my foot: any pressure was intolerable. I walked on my heal for the day, puzzled, continuing to gently stretch my calf and rotate my ankle, which I soon noticed was beginning to swell and become warm to the touch. One night I spent an hour meditating in the dark on the sensation, listening to its pulses and swells, feeling its lines of tension spread into webs, and then recede again. I brought every tool of mindfulness I know to bear on it. At the time I could only imagine it was a soft tissue injury, even though there’d been no impact stress. No bumps or ankle-turns. I hadn’t started running yet for the season. I had over-indulged in about 25 miles of walking during my visit to London, England, but that had been three weeks before. It could be that I’d injured my plantar ligament then, and it was only showing up in the calf now. The provoking incident seemed to be the massage, so my instinct was to continue to gently stretch and palpate to enhance the circulation that was evidently trying to heal the muscle. My yoga and ayurveda brain defaulted to the “pranic model” of injury: There’s some kind of occult energetic blockage in my lower limb. I need to get the prana moving again. Between asana, massage, directed breathing, and vipassana scanning, I couldn’t move it. Several days later, the cramping had worsened. I booked an appointment with a physiotherapist. She frowned at the swelling, tested the range of movement for both knee and ankle, did a little bit of manipulation and massage that all felt good in the moment, and then she elevated and iced it. In a way, she too was working the pranic model: easing a local confusion, unsure of its source. The pain ebbed away, and I went home with a protocol for icing, elevation, and an ankle extension exercise with a theraband aimed at strengthening the muscles in my arch. It all felt good. She said that if it was plantar fasciitis, it should resolve over about two weeks. I should get a pair of Birkenstocks, and limit my movement. She asked me to return in three days. At home, the icing and so on seemed to calm things a bit, but I returned to her office with the pain largely unchanged, plus new signs of swelling. She was confused that the tenderness had now spread to the top of my foot as well, which was puffy and red. She repeated her treatments, which again felt good, despite my growing doubts. She said that if the swelling and pain didn’t go down in another few days, I should book an appointment with my family doctor to have an ultrasound, to make sure I didn’t have a blood clot in my calf. The next day, the pain vanished. The swelling receded gradually, but didn’t entirely disappear. I didn’t think much more of it. The only residual sensation was a slight feeling of compression in the belly of my calf when I flexed my knee completely while sitting cross-legged. Like I was squeezing a smallish golf ball between my calf and hamstring. It wasn’t unpleasant, and while working I would actually squeeze the flexion tighter to feel the massaging action of the lump. [dropcap]H[/dropcap]ere’s what was happening, as far as I can tell from what the doctors have said, along with my own thoughts. The flights to and from London constituted the sixth round of air travel over the previous four months. Air travel is particularly cramped for my frame. I work obsessively throughout each flight, which is not so different from anywhere else, but maybe even moreso, because I treat the flight-time like a kind of race against my word-count. I’m always wriggling around for leg space and comfort. I drink all the water on the plane. I’ll steal it from old ladies if I have to. I drink it hot if I can get it, even if it tastes like old coffee from those multipurpose steel pots. I usually have a thermos of steamed milk with nutmeg and honey. (Starbucks is good for something.) At some point in the midst of travel, blood flow in my posterior tibial venous area was compromised. The tiny valves in the veins that prevent downward backwash began to fail. For some reason my blood clotting factors were also high at the time, and the pooling blood began to harden in a thickening rope that has now almost entirely occluded my popliteal vein from the back of the knee downward. My most recent work travel ended last week – five days of facilitating discussion on ayurveda and yoga philosophy in the Canadian prairies. I usually sit on the floor to do this, in siddhasana, or with one leg in badha konasana and the other in virasana. These are the same postures that I use for writing, which takes up about six hours out of every day, although I shift and walk around every twenty minutes or so. Even when I’m meeting with a client and we’re sitting in chairs I’ll fold my long legs up under me. This gives me spinal lift and that particular alertness I know from meditation. Each doctor that visited with me ran down the list of possible clotting causes: “immobility” was consistently at the top. So I’m going to have to find some more creative working options, for starters. On the plane back from Calgary my calf cramped up, which I was used to. But I also thought (double-guessing myself several times) that I felt tingling in my left arm and hand. (The last time I’d felt that was during a night of palpitations a year before. The ECGs at that time were clear.) I deplaned and felt fine until I got home and found myself short of breath from walking up a single flight of stairs. I wondered if it might be a kind of nervous exhaustion, but feeling it against the coming-and-going left arm tingling warmth, I knew I should pay close attention. When do we decide to get help when something is off? For me it was the next afternoon, when I felt my third round of short breath. This time I was carrying my toddler up a flight of stairs and he was telling me a seriously excited babble-story about a truck and a ball. Negative pressure built in my chest. I looked in his incredible eyes and realized this really isn’t about me and my feelings. I drove myself to emergency and was triaged pretty quickly through bloodwork and towards a chest x-ray and then a CT scan, with contrast dye dripping into an I.V. port. I waited in a curtained emergency cubicle for several hours while they woke up a radiologist at 1am to read the scan and report that my lungs are populated with a “heavy load” of blood clots. I was diagnosed with multiple pulmonary emboli, along with suspected right-side heart stress-damage. At another time I’ll write about the near-mystical experience I had in the hospital that night, shivering under the few blankets they could spare while the nurses tried to get the wonky AC turned down. It was an ideal stay for this compulsive eavesdropper, because I wasn’t in too much pain, I could listen to every interaction on the ward and marvel at the astonishing workaday empathy unfolding around me. I was strangely flooded with joy at the scope of my entire life and the web that holds it, and cried for nearly an hour between the visit from the emergency doctor and my interview with the internal medicine specialist. But I’ll save this for later. [dropcap]I[/dropcap]f untreated, pulmonary embolism has a mortality rate of about 30%. But in diagnosed and hospitalized cases such as mine, mortality has declined from 6% to 2% over the past 25 years. In 2007, 545 people died of PE in Canada, most of these from clots that were massive compared to mine. Prior to the 1950s, mortality rates are difficult to establish, because as Dalen and Alpert report, “the clinical diagnosis of pulmonary embolism is notoriously inaccurate.” (Progress in Cardiovascular Diseases, Volume 17, Issue 4, p. 259, January–February, 1975). One hundred and fifty years ago, when diagnostic methods were not much further advanced from those of yogic medicine, I likely would have died, either slowly suffocated by the growing rigidity of my lungs, or suddenly, from a heart-stopping clot. I would have been bled and vaporized, jolted with animal magnetism, force-fed massive doses of herbs, or perhaps locked in an iron lung if I had the big bucks. But this is now, and I’m not writing this because my story is remarkable or particularly dangerous. I’m reporting my experience because it has shown me something visceral about how the former “notorious” inaccuracies in clinical diagnosis pale in comparison to the potential blindness of subjective spheres of knowledge-production. I’m talking about the difference between personal intuitions that remain subjective and intuitions that enter the intersubjective space of dialogue and development. I’m talking about how our most sincere attempts to know ourselves, to feel what’s happening to us and what the right plan going forward should be can not only constitute naïve wishes against reality, but also resistance to a more collective knowledge. From Thales’ “Know thyself” to Polonius’ “To thine own self be true”, to Emerson’s “Self-Reliance”, through to our present new age/new yoga glorifications of self-knowledge, what we think we can know about ourselves is continually meeting the friction of what others can actually know about us. I’ll explain. With about eighteen years of meditation and yoga training and a worldview firmly rooted in the pranic model of wellness and disease, I was dangerously inaccurate in my presumptions about what was happening to me and how it would resolve. This really hit home when the internal medicine specialist was asking about my calf pain at 3am, and I showed him the location of strongest sensation, just below the back of my left knee. He touched it very lightly and asked if it hurt. “Yes, it’s tender”, I said. But then I impatiently grabbed his thumb and said “You can get in there deeply to feel it more clearly.” I wanted him to validate my sensation by finding a lump. My instinct to manually move the pain through massage and asana, to increase energetic flow, and to visualize this increase in a mechanistic way – like a river becoming unblocked or stagnant air in a room being released – made general sense. But in this case it was exactly wrong from the point of view of treatment. I realized I’d spent six weeks manually manipulating something that I could have broken apart clumsily, and in breaking, it could have killed me. I did this quite naturally, not only according to the guidance of the pranic model, but as a reflex. The nervous system is programmed to distract acute pain with broader sensations of pressure and vibration. We naturally massage our injuries, even when that massage would be dangerous. The pranic model of health and wellness and injury simply systematizes this instinctual process. The upshot is that what we call “listening to our bodies” – which I was doing with massage: feeling, prodding, provoking – can in some cases be maladaptive. [dropcap]W[/dropcap]ith my diagnosis of deep vein thrombosis, it is true that something is “stuck”. But for what’s stuck to be unstuck depends on a natural chemical process that I couldn’t conceive of, let alone feel, until now. The process is called fibrinolysis, in which the enzyme plasmin is secreted by the liver to loosen the fibrin bonds of the coagulation. The only proven safe protocol is to do nothing about the clot itself while the liver does its work. The anti-coagulant medication does not directly address the clot in my cramping calf. It prevents the globules that will inevitably break away from that clot from blocking the ventricles of my heart. It treats the clot by leaving it alone, and giving it a less sticky environment. This counter-intuitive approach has few parallels in yogic or Ayurvedic models of healing, which generally focus upon explicit ministrations to a pain-site. Palpations are meant to smooth or thin energetic blockages, to spread them out along energetic pathways or channels, so that they may release or dissolve. Even when the pain-site is not explicitly manipulated, as with the prodding and poking of marma-point therapy, acupressure, or acupuncture, the target of intervention is the blockage itself. The therapist often works as though they are tugging on the distal threads of a central knot. It would seem that this is the way embodied intuition simply works and then evolves into practice: we feel something, visualize it, and follow the lines of sensation back to what seems to be its source. But in the case of deep vein thrombosis, that source cannot be directly addressed. It must actually be avoided, while the surrounding ecosystem – my blood – is manipulated to prevent further damage. In Ayurveda, blood-manipulation would also be advised and carried out through herbs believed to cleanse the blood. But the target of these herbs would also be the clot itself — if it could be “seen” through pulse-analysis — and not the secondary and preventative function of thinner circulation. Neither yoga nor Ayurveda have the direct chemical acumen to manipulate the mechanism of plasmin. Both yoga and Ayurveda place a premium on the movement of prana, but didn’t know how blood was oxygenated through the lungs until biomedical research compiled through dissection and vivisection made this knowledge a global standard. Whenever you hear a yoga teacher describe how deep breathing or pranayama brings freshly-oxygenated blood to all tissues, they are not quoting a single pre-twentieth century yogic source. They are using the same popular medical wisdom we all use. This isn’t to say that the basic idea of circulation – that breathing and the rhythmic pulses of the heart and digestion are key to general vitality – isn’t at the core of the older paradigm. The pranic model surely prepared healers for what was to follow, not through its technical precision, but because of its openness to conceiving of networks and systems. The intuitive root of all medicine is an appreciation of relationship. But the devil, as they say, is in the details. Knowing that things are connected is only a first crucial step in discovering how they are connected. Extrapolating the physiological context to the psychical context, it could be argued that some very old meditation techniques use a back-door approach to address emotional blockages by focusing on the mental ecosystem rather than any specific tension. Some instructions advocate distraction from a mental affliction (kleśa) through devoted focus upon a meditation object. Others change the perspective and tone of metacognition by encouraging a shift from “What is that pain in my calf?” to “An interesting sensation is rising.” But when practitioners are in physical pain, they are often instructed to (and they naturally want to, in my experience) focus mental and respiratory energy directly upon the site, which is often visualized as a tangled web, a dysfunctional chakra. I believe that this focus can be helpful in a generalized way, and when I engage it myself a sense of empowerment glows gently within. We also know that from the emerging field of psychoneuroimmunology that mindfulness practices are likely able to directly stimulate specific healing responses. But no amount of empowerment or self-attunement could have educated me in what I really needed to know, and at the speed I needed to know it. And how about this for irony: the immobilized postures of meditation I use are likely contributing factors to the clot that was causing the sensation I was meditating upon. [dropcap]O[/dropcap]n the bright side, I imagine that my years of practice sensitized me to my internal reality efficiently, speeding up my decision to admit myself to a kind of care I didn’t understand. It makes me wonder if the primary gift of the intuitive arts is not the capacity to know things, but to know when we don’t know things. And, in the face of that uncertainty, how to maintain a sense of relaxed groundedness. What will remain beyond measure and value for me are the ways in which my self-work in yoga and meditation may have both alerted me to a problem, and helped me push back against the fight-or-flight reactivity that would have complicated my mental state and my interactions with my doctors. I discovered I was sick, but I seemed to avoid the “second dart” of mental suffering, as described by the Buddha in the Sallatha Sutta. Was this my practice speaking, or serendipity, or both? Just as the pranic model has paved the way for biomedical advances, so can its intuition lead a person today to the hospital. Maybe it’s like an early-warning system with a therapeutic logic that may break down upon examination, because it was only ever able to send out broad alarms. Once the person’s hospitalized, a pranic mood may foster a calming reverie of interconnection. The pranic model got me to the hospital, and then held me in a comforting light, even as it cast a shadow on the actual mechanism that would heal me. For the last several years, I have presented yoga and Ayurveda as interoceptive, aural/oral, and tactile medicines. They date prior to the visual epistemology ushered in by the dissection era (early 16th century onwards in Europe). Our present-day emphasis upon self-attunement – listening in on the body, feeling the body – are echoes of earlier sensual means of self-inquiry. I’ve claimed repeatedly that the shift to visual (fire) medicine, rooted in dissection, internal anatomy, surgery and imaging techniques, is the procedural engine that drives the alienation of the medical gaze (after Foucault) and the feelings of objectification we typically experience in clinical settings. I’ve argued that a principle quality of care that Ayurveda and other CAM therapies can offer global health, if they avoid pseudoscientific claims, is to minister to the intuitive and feeling self within us, to re-engage us in the sensual process of self-inquiry, while understanding its limits. About this hearing versus seeing thing: here’s something funny. So I’m lying on my left side on the ultrasound table. The technician is a portly woman in her sixties, sitting close enough beside me that she’s hugging my back into her ample right thigh. Her right arm is reaching around with the lubricated device and sliding it slowly from my medial pectoral muscle down to my armpit. She’s gazing at a screen I can’t see, manipulating the view quickly with a rollerball, snapping stills as she goes. Occasionally she turns the sound up, and I can hear the rhythmic whooshing cyclone in my chest that even the quietest meditation only gives a shadow of. I suddenly realize that she’s using a technology that bridges paradigms. The machine is visualizing me by listening to me. The tech is holding me close with her strong arm, and gazing into me with a sound too subtle to hear. The machine is listening to my flesh so closely it can create an exact image of my heart. In the hospital, the self-inquiry of meditation has been outsourced to many, each with a piece of the puzzle. Thousands of people work here, and together they make my subjective attunement almost irrelevant. Which is why it feels so disorienting to walk over that threshold. You learn very quickly that your everyday epistemology is not in charge any more. The meditation of the individual, so essential to the old ways of self-knowledge, is now dispersed, non-local, shared through wires, databases, pneumatic tubes carrying blood and urine samples through the white walls, and the stamped and seal envelope of preliminary results I’m carrying back to the hematologist. If it doesn’t look like my technician is personally meditating, it’s because she’s part of a larger meditating system. It’s easy to criticize biomedicine for its impersonality, but it’s this very quality that attends a decentralized intelligence, throttled by referrals and cross-checks. The heart rails against the bureaucracy of it all, while, ironically, cardiac care improves. The prana, chi, or spirit that has fascinated us for millennia as the intelligent mover of our internal selves may now be more properly seen as a social vitality. The body is intelligent, of course, but our intuitive capacity to understand its intelligence is now, more than ever, interdependent. Speaking of interdependence: I live in Canada, where socialized medicine means that I can spend these hours contemplating this particular mystery of my life rather than stressing about how as a self-employed person I will pay for the $5000+ I’d be billed for this episode. The very idea of socialized medicine seems to run on the pranic model. The enterprise is governed by a broad feeling of generosity and cosmic order. It feels intuitive. This is is how things should work. This is what we should do for each other, even if the details aren’t clear. [dropcap]S[/dropcap]o here I am in my kitchen, surrounded by my hundreds of bottles of herbs – artifacts of my intuitive self-care over the years – injecting myself in the belly with an anticoagulant drug called Fragmin. I’m wondering: what exactly is the distance between these mason jars filled with the muted colours of the earth, and this clear vial of evidence-based magic? The jars contain complex tastes, splendid folklore, and a thousand anecdotes from the generations. I’ve emptied and refilled them many times. The syringe is a little miracle of efficiency and single-use waste. It’s spring-loaded so that the needle retracts automatically when the plunger is fully depressed. I feel guilty throwing it away in the yellow-green medical waste bucket they gave me – I know the empties will be incinerated and the smoke will blot the sky. The needle will prick and the medication will burn for a few minutes. A little purple bruise will come up within the hour. As my blood thins throughout the treatment, the bruising is likely to darken and spread. The syringes are a bridge until the longer-term oral medication, Warfarin, begins to kick in. Warfarin is derived from coumarin, a fragrant compound found in high concentrations in vanilla grass, sweet clover, cassia cinnamon, and mullein. It was first isolated for use as a pesticide in the late 40s, but somehow they discovered it reduced coagulant factors in human blood. It works by blocking the clotting function of vitamin K, which means that I have to regulate my dietary intake of vitamin K rich foods: mainly leafy greens. Although the research is far from comprehensive, it is known that fresh and dried green herbs contain the highest concentrations of vitamin K.
Strangely, in Ayurveda, many forms of rakta dushti (blood tissue inflamed by excess fire or made stagnant by excess earth) are treated precisely with copious amounts of leafy greens, and many of the dried green herbs that surround me now. The old intuitive principles here – that the passions and lethargies of the blood should be “purified” with the colour green, with bitter and astringent tastes – feel right to the palette and digestive tract. If I wanted to lighten, “deacidify”, or make my blood more mobile, the fresh watery crunch of the leafy green would seem to be the intuitive choice. It has been for generations. But here it is wrong. In the fresh, light, and mobile texture of the green lies the hidden recipe of blood’s hardening resin. Does this invalidate the entire approach? No. But it does suggest that the intuitive forest can hide many strange trees. The intuition of my kitchen hums impassively around me. The hematologist will be phoning at 4pm with my latest bloodwork results. She sees people with wounds like mine all day. Sun strikes the herb bottles and glints on the needle I plunge into my flesh. I am surrounded and penetrated by so many layers of history and knowledge, harmonic and conflicting. People from the past know me. People from this seeming future know me. I know myself in familiar ways, while others know me in unknown ways. We gaze together at where I am stuck inside. This post is an generous offering as a wake up call for the many who have turned away from Western medicine in disappointment. It is hard to see ourselves and this reminds us to allow the eyes and experience of others in worlds outside our own to offer us help. It reminds us that we are not infallible. I have found healers in collusion with me as I make a strong case for myself. And then we are both swayed by my instincts. Sometimes you need another eye that has spent time looking a different way for many things. In America we who make alternative life choices forget how great a science Western medicine is I think because it has been sullied by pharma and money. But in any case, best wishes for your recovery. And thank you as always for your beautifully crafted presentation of this one incident among a bigger picture; of medicine and more. Thank you for this. It made me weep–although I’ve been somewhat randomly weepy during the last few days, so don’t take full credit for it :). It reminded me of what Jenny Otto told us when we started her yoga therapy training in 2010. She said that if we came for definite answers, we were going to be disappointed. She also said that if the training led us to a higher state of confusion, she would be okay with it, and that not one system has all the answers. To think that would be to get stuck inside and cut ourselves from the confusion, so to speak. Although confusion has a somewhat negative connotation in the sense of disorder, it also means to pour/mingle together. Which leads me to something you said during the workshops at Willow Street Yoga earlier this year: that to enter the epoch of space medicine, we need to integrate the other four (earth, water, fire and air) and understand what each is good for as well as their interdependence. In a way, the space era in medicine will contextualize the other other four, creating the conditions for each to nourish us with their knowledge, evidence-based or not. Here is to interdependence! Wishing you all the best in your recovery. In the ‘womb’ of the tribe/hospital. — Feeling/seeing the collective spirit of human endeavor. ?? We expect solo ‘other’ to ‘pull up via ‘das boot strap. (neoliberalism)? Hmmm. ?? Rather, don’t we ‘pull ourselves up’ (sideways?) by our collective-binding-ties? Compassion. Gratitude…. Anger. Fury. — For all the animals who have come before and then left behind; the stuff/effort of understanding. On the flip, yes most people should not “listen to their body” which is thrown around these days by alternative health care practitioners who know very little and is only a red flag that they can’t actually tell you what to do since they haven’t studied with real doctors. It’s much like the whole “listen to your inner guru” garbage that gets thrown around in yoga circles. On that point you are correct, though is pretty simple and pretty much a no brainier if you’ve been around a quality teacher. I am curious what clinical training in India you have received to be able to evaluate Ayurveda’s clinical efficiency properly. Not to say that just because it is India it is better, but Ayurveda proper can only be practiced over there at this point in time and even then you have to trudge through the mess. Curious to hear your experience in that since you seem competent to judge it. Like where are you getting this localized idea of dealing with a blood clot from? David Frawley? Vasant Lad? Some other pseudo-scholar-vaidya? Thank you Matthew, eloquent as ever. All the best with a speedy recovery! I am a recent arrival to your blog, and your WAWADIA project is impacting me deeply. I am grateful to you for your work. I am a yoga student and fairly new instructor who arrived at teaching via injury. Prior to finding your blog I had been weighing some of these points you are surfacing. I feel happy to find support by being able to listen in on this important discussion. I did not have time to finish reading this post and the comments but I wanted to quickly express gratitude for its significant impact on me because in a moment I am headed to an appointment with a physiotherapist about a back of the left knee pain I have been trying to self-treat for several months. This post/essay reminds me of a student I had, long time back. When I was still teaching yoga at the gym. Where I had to carry my own insurance, and where I knew all the risks were mine, when it came to student safety. One day a middle aged woman came to my regular class, and told me that she had been diagnosed with what you describe, Matthew. Of course I’d heard of it. I travel by plane, etc… The woman told me her daughter wanted her to come to yoga, and “see what she could do”. Gad. I was a bit worried, and did not want her ‘doing’ any posture work. I had the woman do legs up the wall most of each class. For sure, I felt an obligation not to turn her away and tell her ‘no’. I saw her presence as a teaching moment for the rest of the folks in the class (viniyoga). Especially an object lesson in not saying ‘NO’. Leave, not appropriate. Since I realized no matter what she was doing at that point could be her death knell. Like walking into class. Anyway, what I’m asking, round’about, what could/would be appropriate for a person suffering with this diagnosis? Loved this, Matthew, especially since I had a mild heart attack myself eight years ago, puzzling everyone, since I seemed to be in such perfect health at the time.